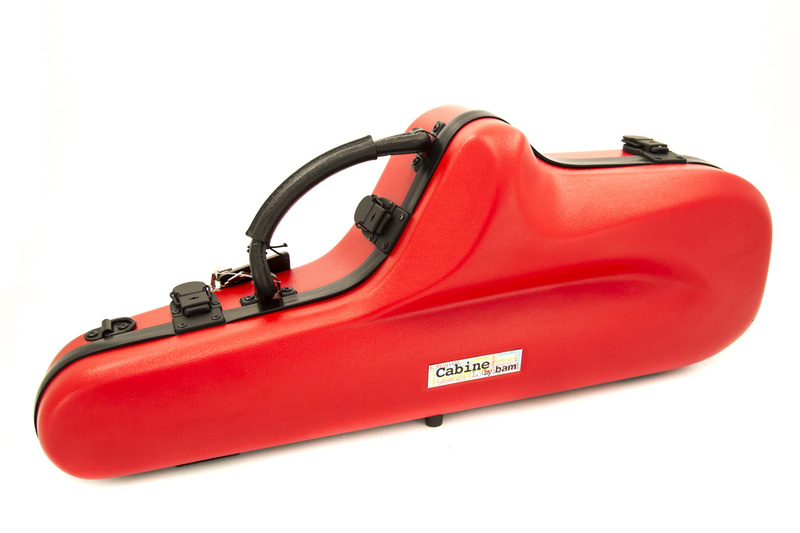 This slimline and elegant Saxophone case from the French makers BAM is an ideal lightweight yet shock-proof protective option. The Cabine range is designed to be as sleek and slimline as possible. The external dimensions are all carefully crafted so the case carries as little bulk as possible. The internal spacing is carefully moulded to support the instrument, and it comes with two padded pouches for the crook and mouthpiece to be stored in the submerged storage area or inside the bell.